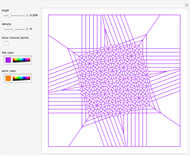 This Demonstration generates a Voronoi mesh for a simulated Moiré pattern. 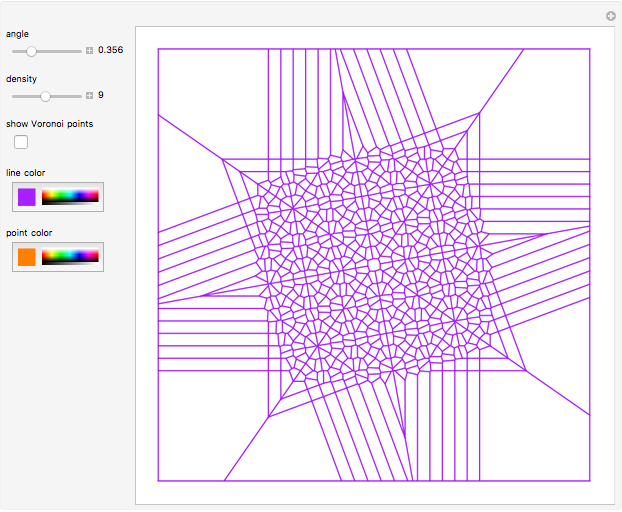 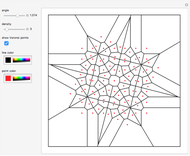 Use the sliders to set the angle and the point density of a Moiré pattern to generate the corresponding Voronoi mesh. 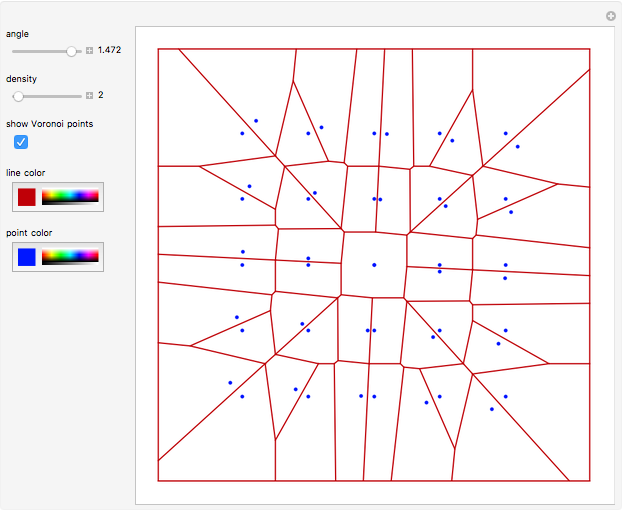 The checkbox "show Voronoi points" shows or hides (hides by default) the point of each Voronoi cell. 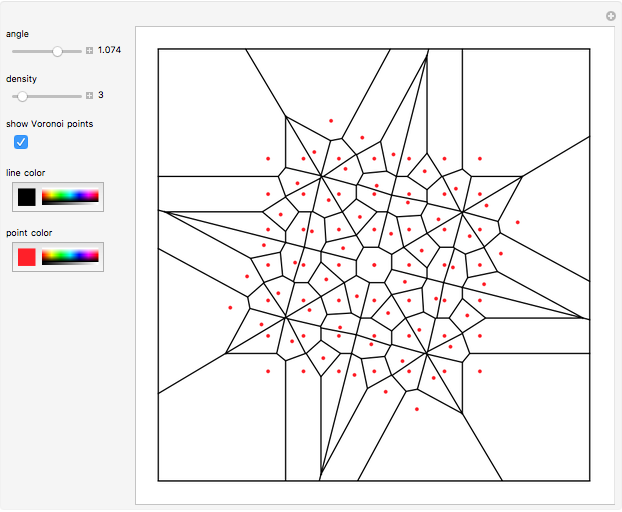 You can also change the "line color" and the "point color". 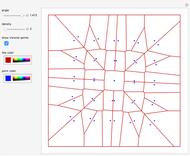 Oleg Rouvinski "Simulated Moiré Patterns Using a Voronoi Mesh"